Context - Serious questions are being raised about the environmental impacts of producing liquid biofuels for transport, the costs of policies to promote them and their possible unintended consequences. Even though production of biofuels such as ethanol and biodiesel is growing rapidly, their contribution to total transport fuel consumption in the coming decades will remain limited. In contrast, the effects of increased biofuel production on global agricultural markets, the environment and on food security are already significant and are stirring controversy. What could be the future role of biofuels for agriculture, food security and climate change? 1.2 Ethanol and biodiesel are the most widely used liquid biofuels. Ethanol can be produced through fermentation and distillation from any raw material containing significant amounts of sugar (e.g sugar cane or sugar beet) or starch (e.g maize, wheat or cassava). 1.3 Current liquid biofuels, referred to as “first generation biofuels” only use sugar, starch or oil and thus a fraction of the energy contained in the plant material. However, most plant matter is composed of cellulose and lignin. For greater efficiency, “second-generation biofuel” technologies are being developed to make use of these components. 1.4 Large-scale production of biofuels from crops requires large land areas, so liquid biofuels can only replace fossil fuels to a very limited extent. Current production is equivalent to less than one percent of world transport fuel demand. 2.1 Prices for liquid biofuels and for the crops needed to produce them are partly driven by fossil fuel prices. Government support schemes also play a key role as most biofuels are not generally competitive without subsidies, even when crude oil prices are high. The crop and energy markets are closely linked, since agriculture both supplies and uses energy. Agricultural crops compete with each other for land and water and farmers will sell their produce to markets regardless of end use, be it for biofuel production or food use. increased support for research and development. 2.4 Many of the above instruments have been introduced in OECD countries at a cost of up to one US$ per litre. They have tended to introduce new distortions to agricultural markets. 3.1 Food prices generally declined during the 40 years up to 2002, if inflation is taken into account. Since then they have risen sharply, with vegetable oil and cereal prices showing large increases. 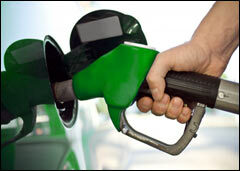 3.2 Biofuel demand and supply are expected to continue their rapid increase. And although the share of liquid biofuels in overall transport fuel supply will remain very limited, the projected increase in production of crops for making biofuels is substantial relative to the projected increase in total agricultural production. Increased biofuel production could come from using more cropland for biofuel production and from improved yields. However, if grasslands or forests are brought into agricultural production for this purpose, this would have environmental consequences. 3.3 The biofuels policies in place in the EU and the USA, have distorted national and international agricultural markets. This results in high costs for the taxpayers in developed countries and discrimination against producers in developing countries. As a consequence, production does not necessarily occur at the most economically and environmentally suitable locations or with the most efficient technologies. 4.2 Increased biofuels production will be achieved through improved land productivity and through expansion of cultivated area, using existing cropland as well as less-productive land. However, it is more likely that biofuels will intensify the pressure on the fertile lands where higher returns can be achieved. 5.1 Food prices have risen sharply in the past few years, especially for cereals and vegetable oils, in part because they are used both for food and biofuel production. In addition, higher transport costs increased the costs of imported food. While some countries will benefit from higher food prices, the food bill is expected to increase for the least-developed countries which are net food importers. protect those who are poor and have insecure food supplies. create conditions where poorer countries and small farmers can take advantage of future market opportunities. ensure that biofuels are effective in reducing greenhouse gas emissions, while protecting land and water resources. reduce and avoid distortions in biofuel and agricultural markets. be developed with appropriate international coordination. 6.3 Subsidies and mandatory blending have created an artificially rapid growth in biofuel production, exacerbating some negative impacts. Existing policies have had a limited effect in achieving energy security and climate change mitigation and therefore need to be reviewed. 7.5 Some countries with abundant natural resources and appropriate infrastructure and institutions may be able to develop an economically viable biofuel sector. However, liquid biofuels will only be able to make a limited contribution to the global supply of transport fuels. “Second generation biofuels” made from cellulose and lignin would expand the range of opportunities.